The Abandoned Dairy Barn from the outside. 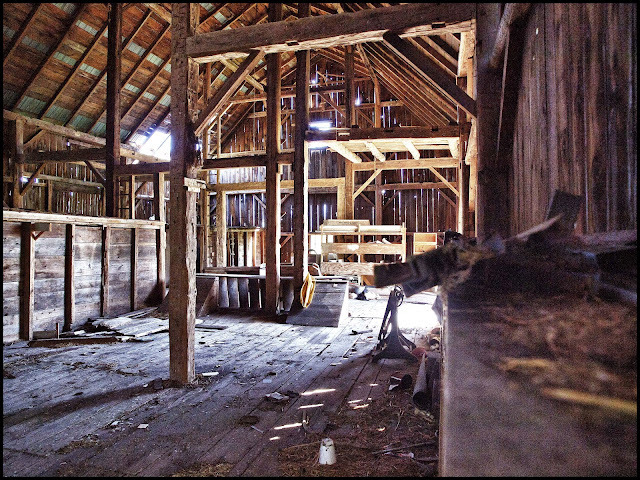 This is the interior of the barn which will be my next project. I am retired and photography is one of my hobbies. I do not have a specific subject, just anything that strikes my eye. I strive to capture the mood in which I see the subject. Enjoy my work, and, of course, comments would be appreciated. For more of my blogs click on the link below.